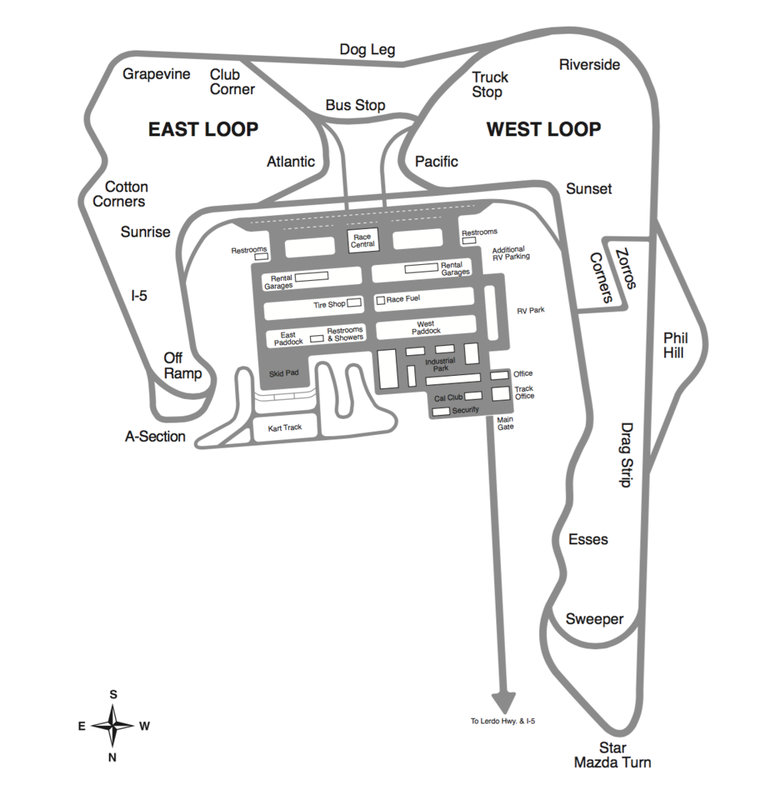 Located in Austin Texas, this is the track for Round #4 on May 4th-6th! We return to COTA for Round #6 September 14th-16th! Our track map for Round #5 located in beautiful wine country! A view of our track map for round 3 on April 21st and 22nd! We will be returning back to Buttonwillow for our last race of the season on October 13th!